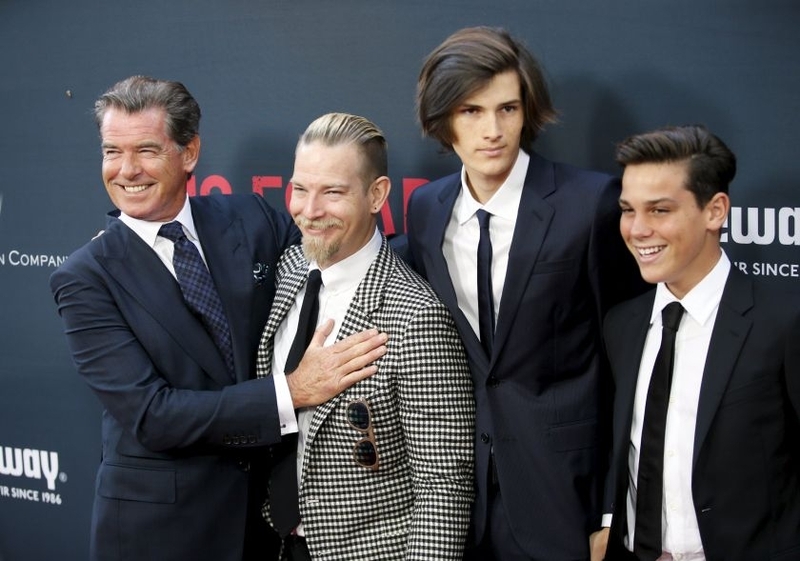 Pierce Brosnan was joined by three of his children to celebrate the premiere of his latest film, No Escape. 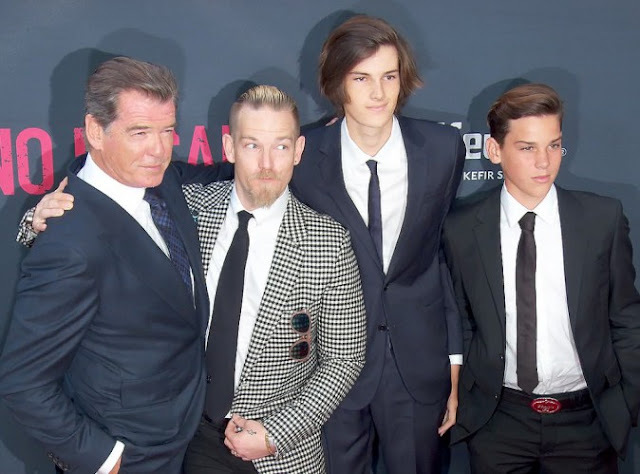 The actor was more than happy to pose with his dashing offspring as they attended the Los Angeles premiere of his new action thriller, held at the Regal Cinemas LA live stadium 14. Pierce, 62, looked handsome as ever in a navy suit and a crisp white shirt as he was flanked by his three son on the night. While the rest of his family opted for muted tones, Sean Brosnan chose to stand out in a black and white checked blazer. The 31-year-old teamed the monochrome jacket with a white shirt and black trousers while his younger brother Paris, 14, donned a simple black suit. 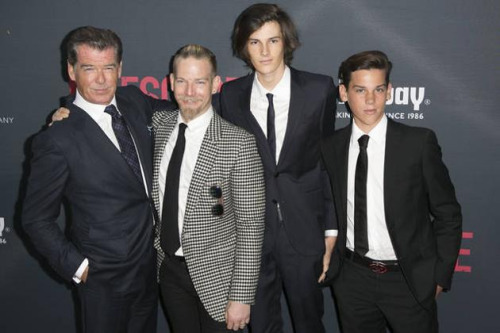 Pierce’s model Dylan, 18, towered over his father and siblings as he sported a navy suit teamed with a matching skinny tie. But it was his father who was retaining the spotlight as he joined his co-stars Owen Wilson and Lake Bell to promote their Thailand-shot action thriller. Pierce stars as a government operative in the flick which sees an American family finds themselves caught in the middle of a coup in their new overseas home, and they frantically look for a safe escape in an environment where foreigners are being immediately executed. Pierce married Keely in 2001, 10 years after his first wife, Cassandra Harris, passed away at age 43 following a battle with ovarian cancer. The couple have two children together, sons Paris and Dylan, the latter of whom recently made his debut as a model for Saint Laurent. Pierce is also father to sons Sean and Christopher from his first marriage to Cassandra, while their daughter Charlotte tragically died in 2013 of ovarian cancer, aged just 42. ‘NO ESCAPE’ hits Philippines and US theaters on August 26. Released and distributed by CAPTIVE CINEMA.